The midterm elections are often the overlooked middle child of any election cycle. But while they don’t get as much press as races during Presidential election years, the stakes are high. Thirty six states, including Texas, are voting for governor in 2018. Midterms are especially significant for the U.S. and Texas House of Representatives, since their terms are just two years long. The winners won’t be decided until November, but the road to the election begins with the primaries on Tuesday . 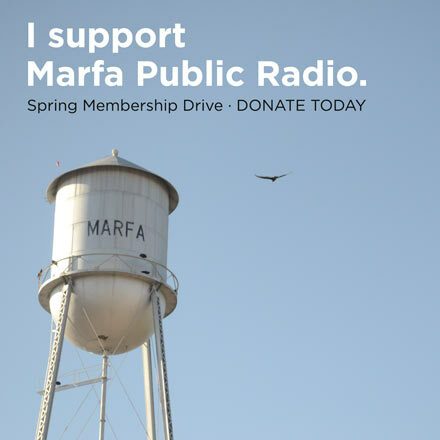 by Ryan Poppe, Texas Public Radio. Rolando Pablos, Texas’ Secretary of State, said the primary election is especially important for those who favor one political party over another. “During the primary elections Texans will have the opportunity to choose which candidates will appear on this November’s 2018 ballot,” Pablos said. Pablos said when you vote, you’ll see a list of hopefuls for all of the state’s executive offices — from governor to state land commissioner, plus the folks who’ll represent you in Austin and Washington. Basically, you’re voting for who the real candidate will be. Jacque Callenen, Bexar County election administrator, said Texas is still under the voter-ID law, so it’s important to make sure you have the correct ID before voting. “Which means we need a photo ID. Texas has a definitive list of the IDs that can be provided and there all posted at the sites,” Callanen said. Callanen said, if you don’t have a Texas Drivers license, there are six other photo IDs that qualify, including a passport, military ID, or a concealed-carry handgun license. And those can be expired by up to four years and still qualify. If you don’t have any of those, you can still vote by signing an affidavit swearing you are who you say you are. Once you have your ID all sorted out, starting Tuesday, you can cast your ballot at any of your county’s early voting locations. There are people on the Democratic and Republican side I would like to vote for, how can I do that? Well, you can’t. 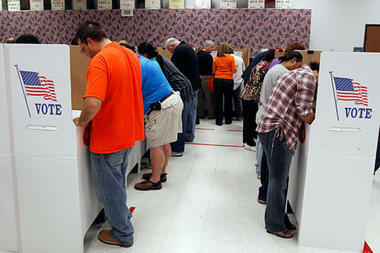 Voters must choose between Texas’ Democratic or Republican primary. But, Callanen said, if you’re unhappy with that party next time around, don’t worry. “So every two years, that voters is eligible to select the party they most align with,” Callanen said. This just applies to the primaries. During the general election in November, you cast votes for Democratic and Republican candidates. Beside roadside signs, where can we go to learn more about the candidates? Elaine Wiant, the president of the League of Women Voters in Texas, said that is an easy question to answer. That’s simple League of Women Voters Elaine Wiant said, because it matters. “In the primary, there are a lot of districts where the primary is what matters. It’s pretty much a foregone conclusion in some of these districts who’s going to win when the primary is over, so it’s really it’s important to vote in the primary, to pick the candidate that is best for that party,” Wiant said. Wiant said casting your vote in Texas’s 2018 primary is especially important if you live in one of the eight voting districts with an open congressional election. That is, places where no incumbents are on the ballot. 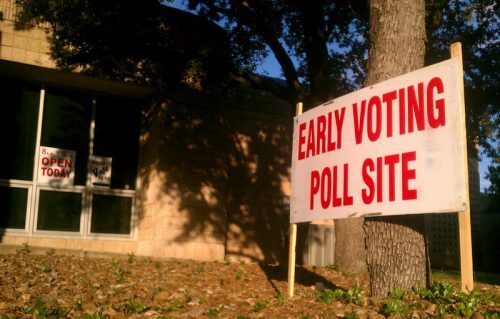 Early voting begins Tuesday, the primary election is on March 6th. This entry was posted in KRTS News, KXWT News and tagged Early Voting, Elections 2018, March Primaries 2018, TX Decides. Bookmark the permalink.